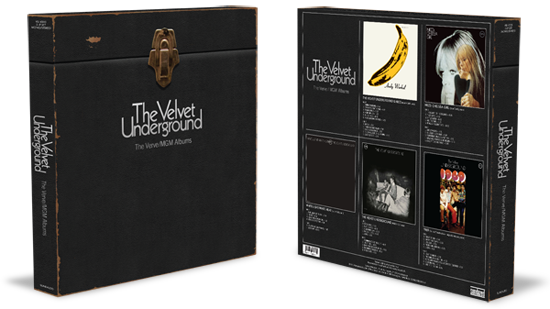 Released today, Sundazed presents The Velvet Underground: The Verve/MGM Albums. This beautiful, deluxe boxed set gathers the rare mono versions of the band’s first three studio albums along with the superior mono version of Nico’s Chelsea Girl and a definitive edition of the band’s unfinished fourth album! Sourced from the original Verve/MGM analog reels and mastered by Bob Irwin, this collection is an essential purchase for the discerning vinyl devotee.